Based in Australia filtered by "magicians"
Ropes that perform miracles, coins that vanish, things that levitate, transform and execute impossible acts, all timed to wonderful comic perfection! Duck's magical exploits have taken him all over the globe, performing both close-up and stage magic to audiences of thousands! Glen Rhodes is a popular skilled magical entertainer based in Brisbane. He has entertained at literally 1000’s of private and corporate events over the past 15 years. John Turner the Magician provides Magic and Fun for all ages suited to fit any of your entertainment needs. 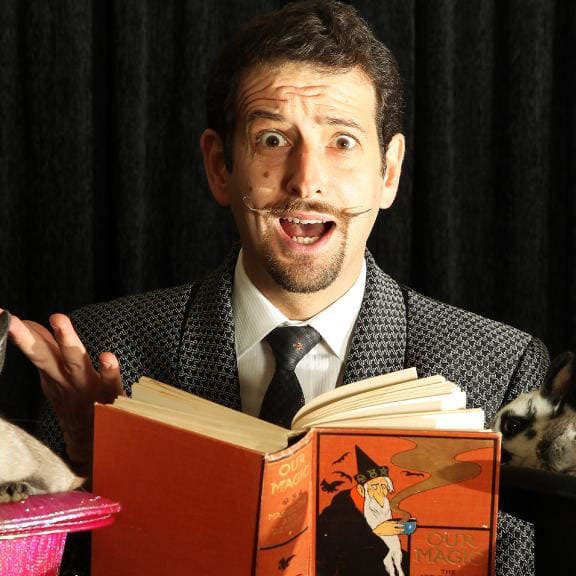 One of Melbourne's best roving magicians! This guy is the bees knees! With over twelve years professional experience, including ten years entertaining at Star City Casino in Sydney, Richard Vegas is the quintessential close up and stage magician. Magicians Richard Vegas and Julia Madotti present “The Masked Marauders”. A two man roller coaster ride featuring good magic, bad magic, story telling and spectacular accidental opera singing. A performance by Steve Hart is unique. He performs hilarious and original twists to conventionally mystifying magic and you can be assured that something amazing will happen.